By @SimonCocking. 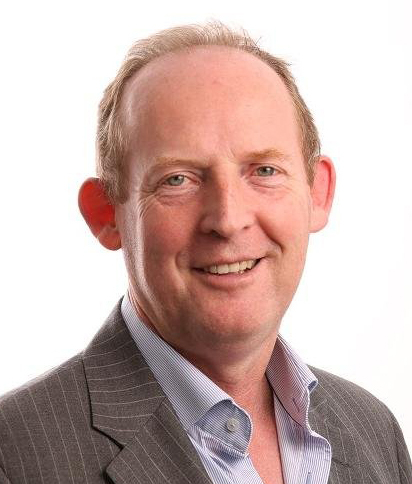 Interview with Hugh O’Byrne speaking at the upcoming Digital Transformation Conference, at the Pavilion Theatre, Dun Laoghaire, Co Dublin taking place on 8th June 2017 (see here more info and for tickets). I have built and run the largest Inside Sales/ Digital Sales operation for IBM Globally over the past 14 years from Dublin. It employs 800 people and does 20% of IBM’s business in Europe now, with a smaller Eastern European Center in Slovakia with 100 people . It is IBM’s fastest growing sales channel and is leading IBM’s efforts in Digital Sales as well as managing 80%+ of IBM’s day to day transactional business. Since January I’ve been asked to advise other parts of the business how to understand the success of Dublin and I’m working with every unit across the world to replicate the success of Dublin. We have two major businesses – the one which pays the rent, is highly profitable and drives 90% of our revenue. We have new Cloud based businesses which drive 10% of the revenue and all of the growth. Both are very different – one focuses on optimisation and the other on growth. They are very different and as you might expect the growth ones grew fast but not fast enough, the traditional businesses need to be squeezed every day – 1% faster, cheaper etc. What has been amazing has been the opportunity to run two completely different models…both need to improve ! When I meet customers they say we need a digital strategy – same as I said three years ago. I was wrong, I did not need a digital strategy, I needed a strategy for a digital world. Secondly, in some sense this discussion is stupid – the world is already 100% digital – either embrace it or disappear, but we are all still coming to terms with this – it’s too easy to be flippant about it – it affects almost every business and it is a challenging change to make. From a business perspective I’m spending real money on digital training, tools, technologies and it’s reasonable for any CFO to say you are spending tons of money on this so what the hell is it for…. I want to talk about that part – how I’ve tried to understand the return on what we’re doing and maybe offer some tips on what to think about in your own journey. Over the past few years the team I work with have made a major effort to get out and talk about our journey and offer advice, help in whatever way we can. While we work for a global American company it has been in Ireland for 60 years and we celebrate our Irish identity (which is really European too !) This is a chance ti talk with business people, tell them of the lessons we’ve learned on a painful opurney and hopefully help them with their own journeys. I follow many many people, read extensively and I work very closely with the Irish Sales Institute and one of it’s member groups (Inside Sales Directors Network) to drive growth in our industry in Ireland. Current favourites include Simon Sinek, David Alred, Tech Ireland, Dublin Startup Commissioners Office. As I also work for a high tech company I love our Institute of Business Value (IBV) Thinktank on trend in the Industry and the changes we see and are driving in tech. If you could change anything about the way business operates in Ireland what would it be ? I’ve worked for an American company for 35 years. I have run a European business with every nationality you can think of. In our Dublin office of 800 people there are at least 19 languages being spoken, different cultures and yet somehow we seem to bridge this well, culturally we are seen as easy to work with, hard working and open to change. Many of my European employees identify themselves with our Irish culture, they love it, embrace it and want to help build it. It’s a new ‘Irish’ culture with many other nationalities involved. We do need more language training in our schools to exploit our ‘advantage’, we need to develop our support for small and medium enterprise and get to grips with the fact we are the meat in the sandwich between Mr trump and Theresa May – risk and opportunities to be exploited. The important thing is to engage, get educated, use events like DLR Summit 2017 to network and find new ways to move ahead.